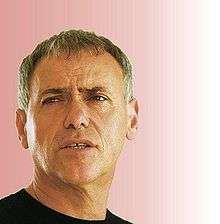 Ariel Rubinstein (Hebrew: אריאל רובינשטיין) (born April 13, 1951) is an Israeli economist who works in Economic Theory, Game Theory and Bounded Rationality . Ariel Rubinstein is a professor of economics at the School of Economics at Tel Aviv University and the Department of Economics at New York University. He studied mathematics and economics at the Hebrew University of Jerusalem, 1972–1979 (B.Sc. Mathematics, Economics and Statistics, 1974; M.A. Economics, 1975; M.Sc Mathematics, 1976; Ph.D. Economics, 1979). In 1982, he published "Perfect equilibrium in a bargaining model", an important contribution to the theory of bargaining. The model is known also as a Rubinstein bargaining model. It describes two-person bargaining as an extensive game with perfect information in which the players alternate offers. A key assumption is that the players are impatient. The main result gives conditions under which the game has a unique subgame perfect equilibrium and characterizes this equilibrium. He also co-wrote A Course in Game Theory (1994) with Martin J. Osborne, a textbook that has been cited in excess of 5,300 times as of March 2014. Rubinstein was elected a member of the Israel Academy of Sciences and Humanities (1995), a Foreign Honorary Member of the American Academy of Arts and Sciences in (1994) and the American Economic Association (1995). In 1985 he was elected a fellow of the Econometric Society, and served as its president in 2004. In 2002, he was awarded an honorary doctorate by the Tilburg University. He has received the Bruno Prize (2000), the Israel Prize for economics (2002), the Nemmers Prize in Economics (2004), the EMET Prize (2006). and the Rothschild Prize (2010). A Course in Game Theory, with Martin J. Osborne, MIT Press, 1994. Modeling Bounded Rationality, MIT Press, 1998. Economics and Language, Cambridge University Press, 2000. Lecture Notes in Microeconomic Theory: The Economic Agent, Princeton University Press, 2006. Economic Fables, OpenBook Publishers, 2012. AGADOT HAKALKALA (heb. ), Kineret, Zmora, Bitan, 2009. ↑ Rubinstein, Ariel (1982). "Perfect Equilibrium in a Bargaining Model" (PDF). Econometrica. 50 (1): 97–109. doi:10.2307/1912531. JSTOR 1912531. ↑ "Ariel Rubinstein - Google Scholar Citations". ↑ "Prof. Rubinstein Ariel Member Information (Election year 1995)". Israel Academy of Sciences and Humanities. Retrieved 27 May 2013. ↑ "Book of Members, 1780–2010: Chapter R" (PDF). American Academy of Arts and Sciences. Archived (PDF) from the original on 13 June 2011. Retrieved 3 June 2011. ↑ Welcome to the website of The Econometric Society An International Society for the Advancement of Economic Theory in its Relation to Statistics and Mathematics Archived December 10, 2008, at the Wayback Machine. ↑ Welcome to the website of The Econometric Society An International Society for the Advancement of Economic Theory in its Relation to Statistics and Mathematics Archived October 6, 2006, at the Wayback Machine. ↑ "Tilburg University - Search results". Tilburg University. ↑ Nemmers Prizes, Awards, Office of the Provost, Northwestern University Archived September 12, 2006, at the Wayback Machine. ↑ "The Erwin Plein Nemmers Prize in Economics". Archived from the original on February 22, 2006. Roberts, Russ (April 25, 2011). "Rubinstein on Game Theory and Behavioral Economics". EconTalk. Library of Economics and Liberty.